Terri Dee was a wonderful host – positive, upbeat, and had a great relationship with her listening audience. The Light is a conservative Christian radio station. The host was drawn by my book title. She assumed I wrote We Love You, But Your Going to Hell to say that homosexuality was wrong, but that we should be compassionate. Yes on the compassion and empathy – but I let her and the audience know that the book looks at multiple interpretations of the scriptures used to condemn gays and lesbians. That I ask readers to study and decide for themselves as well as looking at sexual orientation; that it is not choice, and cannot be changed – and we should re-examine the claims of conversion therapy. I thoroughly enjoyed the interview and answering questions from listeners. Even though many disagreed, Terri Dee maintained an atmosphere of respect on her show. I applaud her and the Indianapolis audience! Aired live on Dec. 20, 2018. Listen to the complete broadcast here. The 20 minute interview (starts at 32:30 min. ), followed by 25 minutes of call-ins from listeners (starts at 51:40 min.). 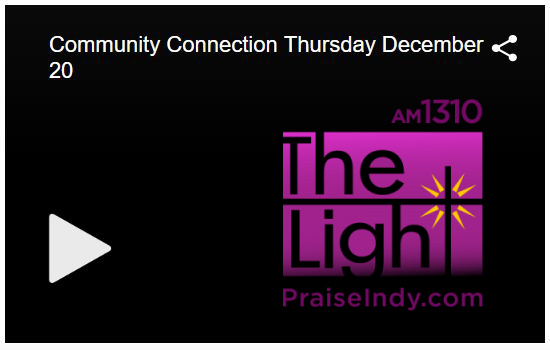 AM 1310 The Light – WTLC is a broadcast station from Indianapolis, Indiana, United States, playing Christian, Gospel, Praise & Worship. "It is essential that we as a society, in our workplaces, and in our relationships learn to understand, respect, and appreciate other cultures while still maintaining and respecting our own. Striking that balance does not often come naturally, but it can be taught."